With a remarkable record in the industry, we are engaged in providing a premium range of Plastic Chain Link. 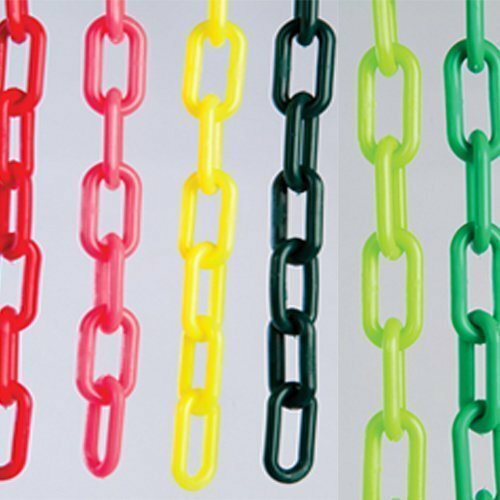 The provided chain is manufactured using the quality-grade raw material and pioneer technology. The offered chain is widely demanded in the market owing to its light-weight and easy installation. The offered chain is offered by us in numerous specifications according to the client demands. We "Global Traders" established in the year 2009 are engaged in trading a wide assortment of Safety Equipment. We hold specialization in offering an innovative range of Safety Hand Gloves, Safety Shoes, Power Drill Tools, Road Safety Equipment, Speed Breaker, Road Stud and more. Appreciated for their durability, superior performance and other quality features, these products are widely used in construction, chemicals, explosive, engineering, mechanical and other allied industries. We procure these products from authorized & trustworthy manufacturers, who make use of quality tested raw material and sophisticated technology to develop the entire range. Our organization has been successful in maintaining a cordial business relationship with renowned enterprise, Hitachi for the procurement of some of the products. Further, keeping in mind the huge demand of our clients, we make sure to supply the ordered consignments within the postulated time-frame at their destinations. Owing to the ethical business practices, qualitative product line, custom-built range, and timely delivery, we have been able to muster a huge clientele across the nation.